Diabetes Control Capsules (Herbo Diabecon), offered by us, are a unique herbal formula to control diabetes. These Diabetes Control Capsules do not interact with any other herbs or allopathic drugs. Diabetes Control Capsule, offered by us, is a herbal remedy developed with uncommon and potent nutrient herbs. These Diabetes Control Capsules are useful to control and heal NIDDM (Non Insulin Dependent Diabetes Mellitus) and IDDM in elders. Our Diabetes Control Capsules work on every person on any stages of disease. These Diabetes Control Capsules cure several diseases like decrease serum cholesterol, inflammation, maintains balance in between glucose and insulin and cures all type of Cardiac Disorder. Herbo Diabecon, an ayurvedic remedy, is made from natural herbs to manage diabetes. The taste is extreme bitter. Herbo Diabecon makes your digestive system perfect. The initial response of Herbo Diabecon will take effect within 3 to 4 weeks. In this short part of time the sugar level goes downward and observes the progress. 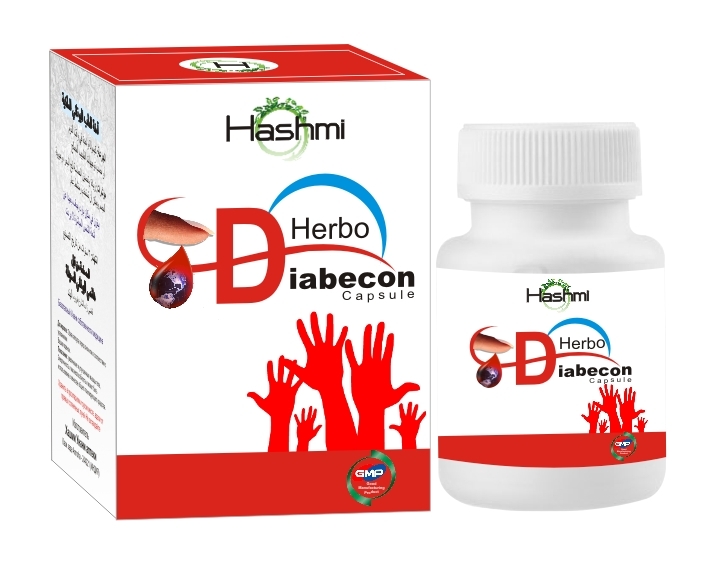 Herbo Diabecon, a superb herbal medicine, has been purposely made to manage diabetes. The main principle of taking this medicine is to manage your sugar in a normal way. It will help both types of diabetes Type 1 and Type II. Herbo Diabeco contains all ingredients together into an extremely valuable diabetes herbal product for diabetes cure.